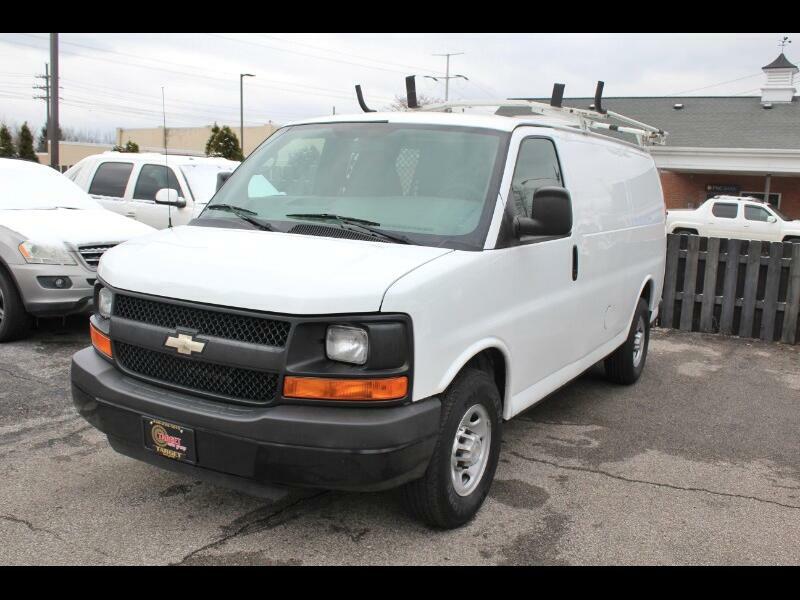 2010/White Chevy/Express2500 Cargo Van is available; It is the Perfect Work Van that is custom made to your line of business. Solid/Heavy Duty 2500 Cargo Van. Cargo Mesh Cage Separator, Custom Built, Steel Shelves& Cabinet, H/D Vinyl Flooring, Barn Style Back Gate& Side Doors, Great Condition, V8-4.8L/SFI Engine, Auto Trans. Van is well maintained w/ fresh Oil& Fluid Change, Transmission System Flush/Refill Service, Newer Brake Pads, Newer AutoCraft Battery, Decent Firestone/Transforce HT Tires. The van been road tested for over 200 mile w/ no problem. Call Moe at schedule your test drive the solid "Like a rock" Chevy Van.